But I think I like it more each passing year! especially because I discover many things I can make with crochet. And every day I learn new things. it is so fun! And a perfect gift! 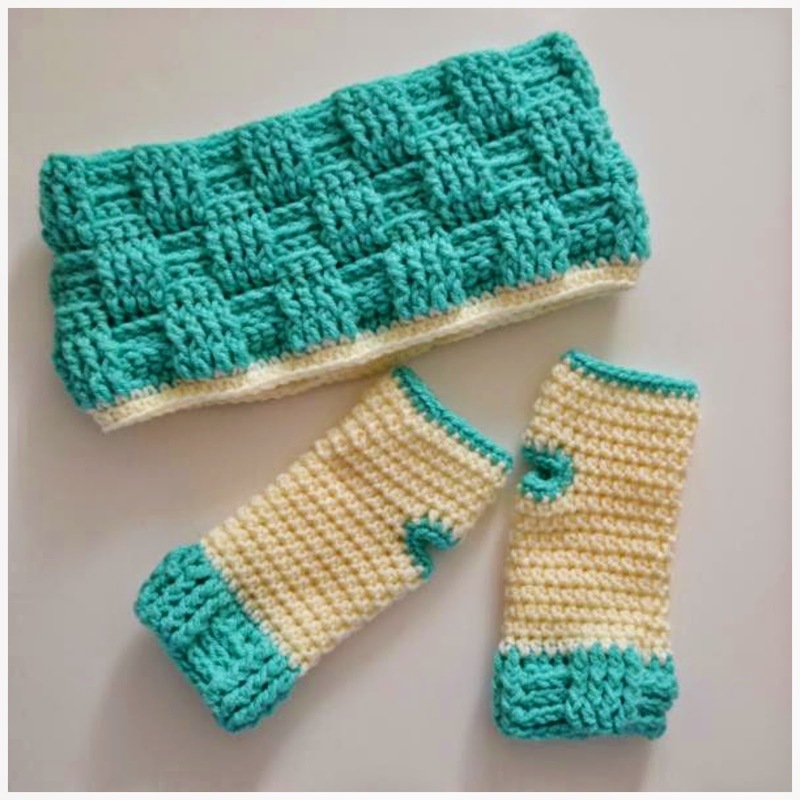 I have worked with 5mm crochet hook and yarn Stylecraft Special Chunky. Working with 5mm crochet hook was very fast and it's fun! 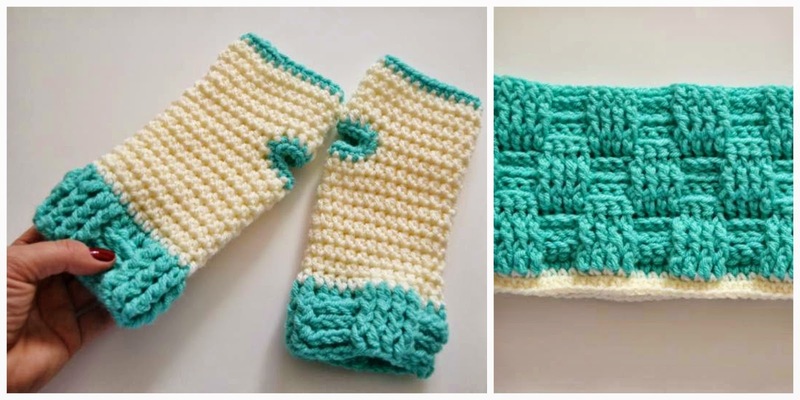 I liked so much the basket weave stitch. 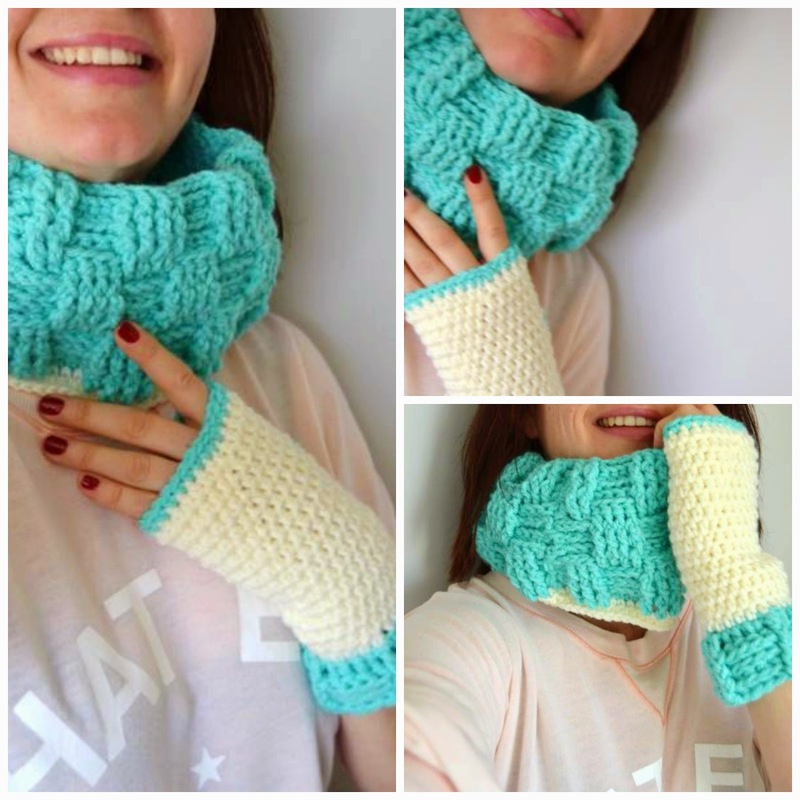 I have used it for the crocheted cowl and fingerless gloves. without suffering from the cold. in the wrist is a good idea. we must take care to mums and they deserve a good gift, right? This gift has liked much to future mama! and this makes me veeeeeeeeery haaaaaaaaaappy! How do you call this ..? Adorable! 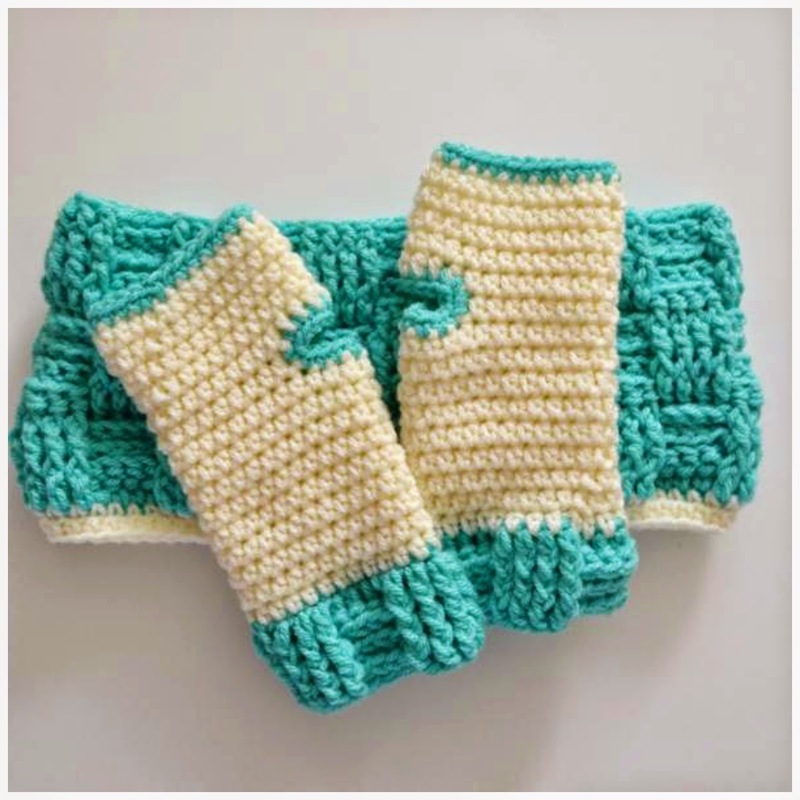 I love the light blue color and the motif of the cowl::: is perfect to fit with the mittens! Knap setje in leuke kleurcombinatie !!! A lovely set, and such pretty colours! 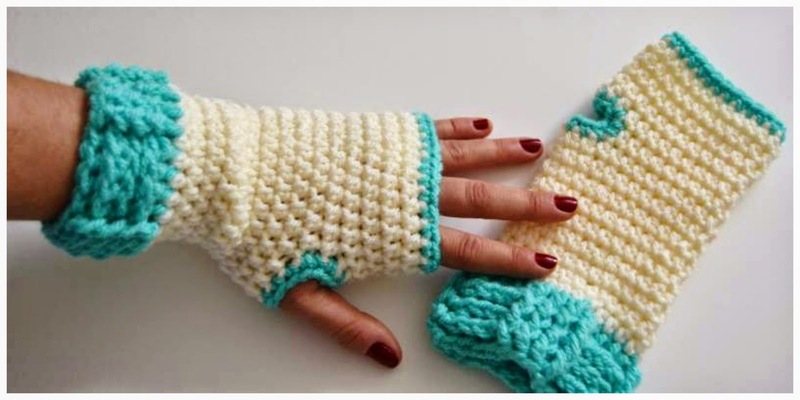 I would call them fingerless gloves, but everyone has their own favourite name for these cute little things! 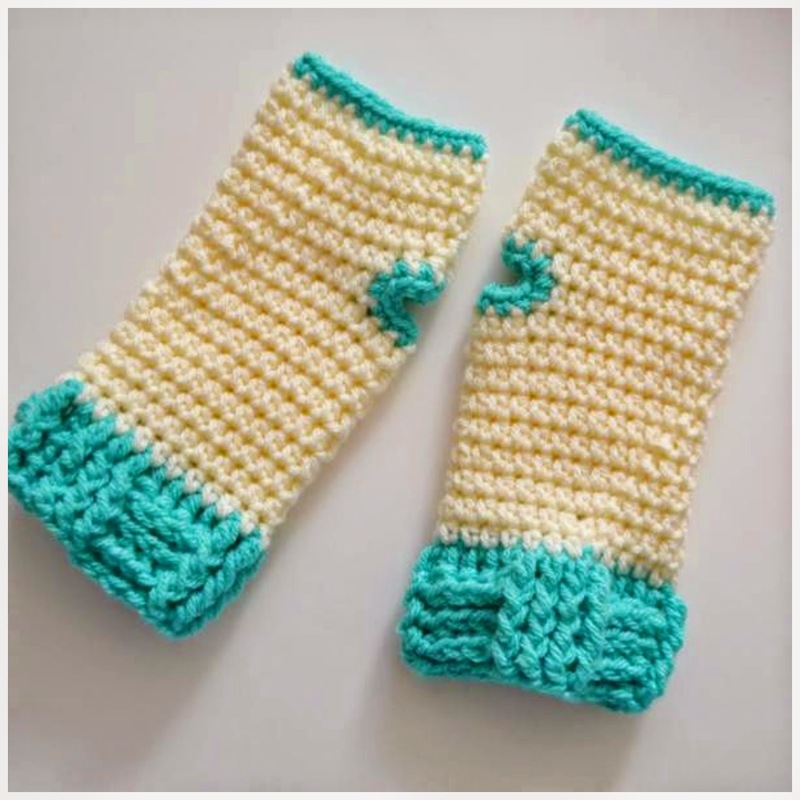 Very pretty color combination, Cristina, your friend will love the set. I love how you just jump in and make whatever stirs your fancy; it's the neatest way to create. Happy New Year, to you and your darling young daughter and all friends and family you have. May each step we take lead the way to Peace.